Golf Advisor, a site dedicated to course ratings and reviews by golfers, for golfers, recently released their All-Time Top 100 list. And Tobiano made it into their Top 10 courses in the world, coming in at #8! Golf Advisor officially launched in February of 2014, but began receiving reviews as early as September, 2012. Now, with five full years of golfer input under their belt – over 650,000 reviews and counting, they decided to “look back and see which courses have fared the best during this time frame.” The result is this all-time Top 100 list, including US and non-US courses with enough review data, based on reviews from 2012-2017. 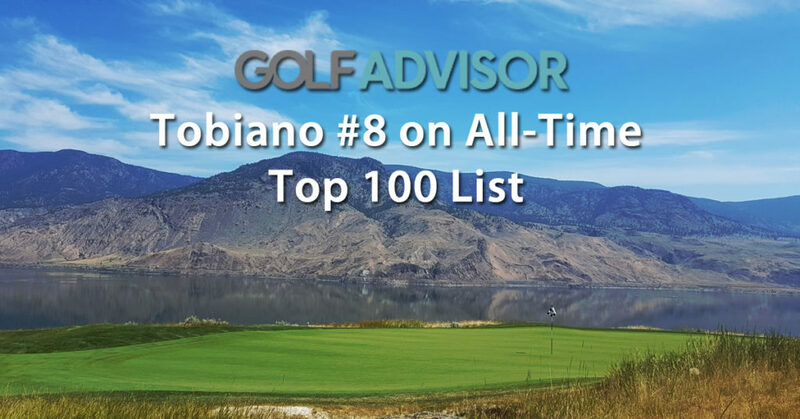 Here at Tobiano we are absolutely thrilled that those who play our course love it enough to put us into Golf Advisor’s Top 10 courses in the world. Here’s to plenty more great golf in seasons to come!